As the result of what the Independent labels a “detain first, ask questions later” approach applied by the Home Office 15.200 of 24.674 removal orders for deportation of migrants from the UK issued in 2018 were cancelled. The figures were released amid debate about the role of the Home Office’s in the death of a removal center detainee and a recent report from the UK’s Home Affairs Select Committee (HASC) describing the Home Office approach to detention as “shockingly cavalier”. The statistics obtained by the Independent through freedom of information law reveals that of 15,200 deportations cancelled in 2018 more than two-thirds were called off in the week they were scheduled and 45 per cent within the same day. The main reason for the cancelations was the submission of legal representation and other reasons included administrative obstacles, “disruptive behavior” and “medical”. The Independent quotes “Lawyers and campaigners” for calling the situation a “waste of public money” and a “damaging” symptom of the Home Office’s “detain first, ask questions later” approach. Director of Bail for Immigration Detainees (BID) Celia Clarke stated that “the uncertainty caused by this callous practice is highly damaging for the people concerned, whether they are parents who face permanent separation from their children, survivors of torture or trafficking, or people who have grown up in the UK and face deportation to a country they have no connection to”. Critique of the Home Office’s immigrant removal practices also came from the West London coroner’s court inquest jury, which examined the role of the home office and others in the violent death of a detainee in an immigration removal centre. The jury found an absence of an appropriate system to share information on the risk of violence from the perpetrator who should not have been placed at the center – failures that “may have caused or contributed to” the death of the detainee. 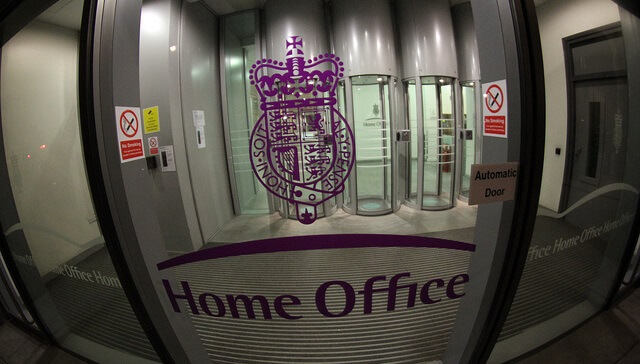 The UK’s Home Affairs Select Committee (HASC) published a report on immigration detention stating that “too often the Home Office has shown a shockingly cavalier attitude to the deprivation of human liberty and the protection of people’s basic rights. It needs to be more transparent in collating information about the number of people who are wrongfully detained, it must give evidenced explanations as to why decisions to detain have been made and it needs to admit where things have gone wrong, apologise, and seek to learn lessons. Above all, it must do much more to ensure that all reasonable alternatives to detention have been considered before detention is authorised”. According to the report UK immigration detention centres had capacity to hold 475 people and approximately an additional 200 were held under immigration powers in prisons in 2000. 18 years later in 2018: “the UK immigration detention estate was one of the largest in Europe with an average of 2,204 held in detention”.